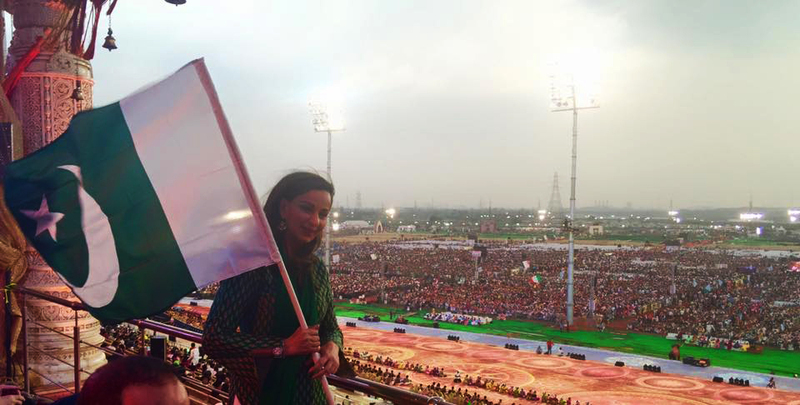 Islamabad, March 14, 2016: Speaking to over three million attendees in New Delhi, Senator Sherry Rehman raised the Pakistani flag to cheers from the crowd. “We as one world need to find global ways for openness and security to bring harmony. Building peace is a broad ambition that we all share as members of civil society and leaders in our own countries,” Senator Rehman said. She spoke at two events, the Global Leadership Forum and the World Culture Festival in Delhi, which were attended by a variety of world leaders and parliamentarians. Rehman spoke at the session titled “Creating a peaceful world of tomorrow” in the Global Leadership Forum, and discussed what she said were emerging as global issues including terrorism, inequality, and education. 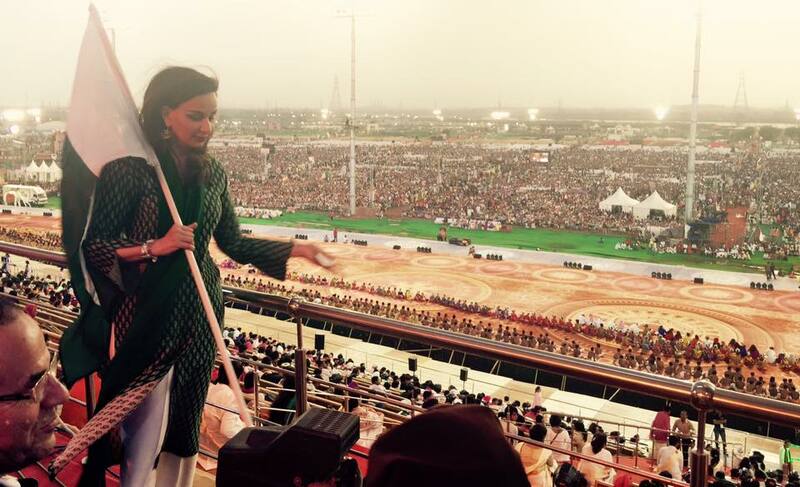 “I see a very serious challenge looming over us, and that challenge is deepening inequality,” warned Rehman. “A large number of people are excluded from growth. And what is more disturbing is that one in seven human beings in the world today is a refugee, a homeless person without an identity,” she said. “The rich are getting richer and the poor are getting poorer. The economic pyramids instead of flattening are actually sharpening. Such inequality, such deprivation will incubate fear and conflict – these issues are bound to come back to haunt us,” the PPP Vice President added, expressing her concern over what she referred to as deepening inequalities across societies globally turning up as a major challenge for the world. Rehman added that although peace was a “broad global ambition” that all the leaders shared, it was not easy to achieve. “Inequality is going to be a huge divider and an instigator for conflicts…This is not the global leadership that is making the right decisions. This is not the world that is working,” she said. Rehman also spoke about the need for South Asia to work together in order to realise its potential. Rehman also told the audience that Pakistan has been fighting the biggest inland war against terrorism. “Terrorism looms very large in public imagination. Most people don’t realize that Pakistan has been fighting one of the largest inland wars against terrorism, and it is doing so alone. Although peace is a broad global ambition that all the leaders share, it is not easy to achieve,” she told the audience. 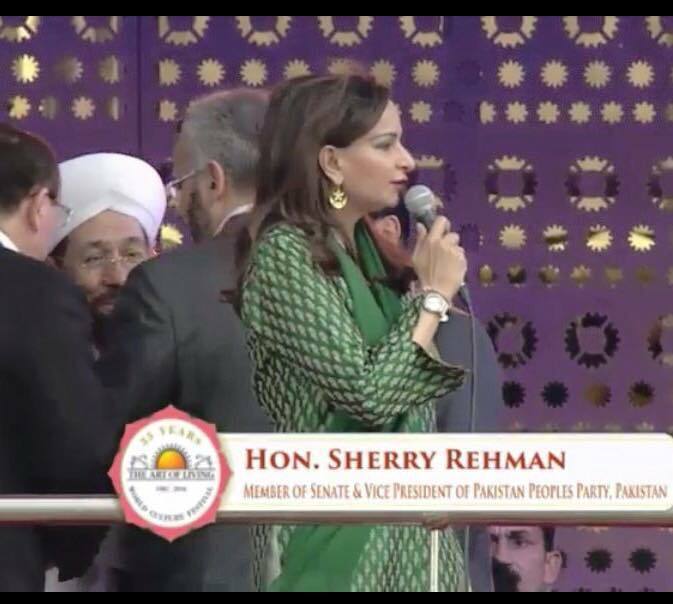 Thanking Sri Sri Ravishankar and the Art of Living Foundation for bringing people together, Rehman said culture, religion, and faith were the heart of a civilizational impulse. “They do not divide, they do not terrorize, they do not cut, and they do not create poles where people drift apart. They must not put people in boxes. Today’s event is a gathering that unites us in harmony. Cultural interventions are about the stories that we tell about each other,” she told a cheering audience.